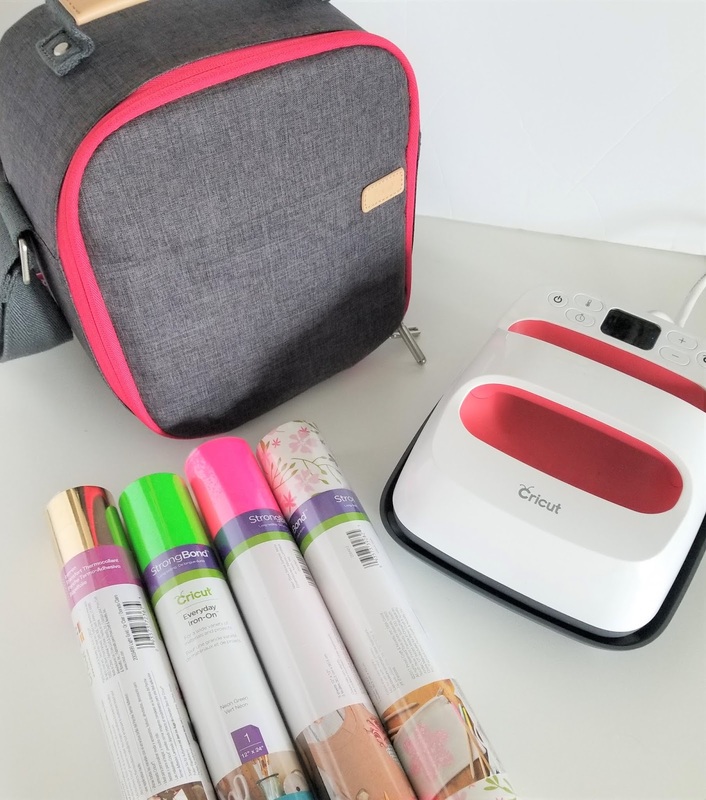 Have you tried out the Cricut EasyPress 2 yet? It is such a great product. I use it at least once a week. Whether I'm using Cricut Iron-On to make t-shirts or using it to press out some seams on a sewing project. I use my Cricut EasyPress 2 so much, I've even taken it to various events because it travels so well. That is why I am SUPER excited to share with you the new Cricut EasyPress totes. 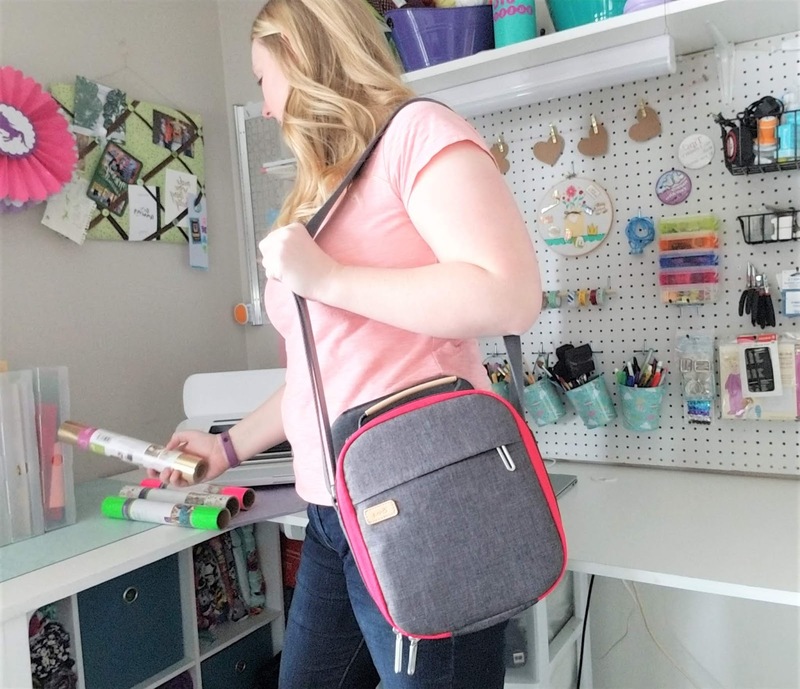 Why am I so excited about the new Cricut EasyPress Totes? That means I can take my EasyPress 2 ANYWHERE I want without having to figure out how to carry and handle it. If you aren't familiar with the Cricut EasyPress. It is a portable heat press for applying vinyls such as Cricut Iron-On Vinyl. The EasyPress 2 comes in 3 sizes 6" x7", 9"x 9" and 12" x 10". I love how lightweight it is and that I can use it in my sewing room or take it into my kitchen and work. It can be moved from place to place easily. Learn more about the EasyPress and grab our heat settings chart. Since the EasyPress is so portable these EasyPress totes are the perfect way to transport your EasyPress from point A to point B safely. Not only are these totes stylish, comfortable to carry, and super tough, but they are heat resistant! That means they can carry a warm EasyPress without the worry that it will burn or melt any materials or YOU! 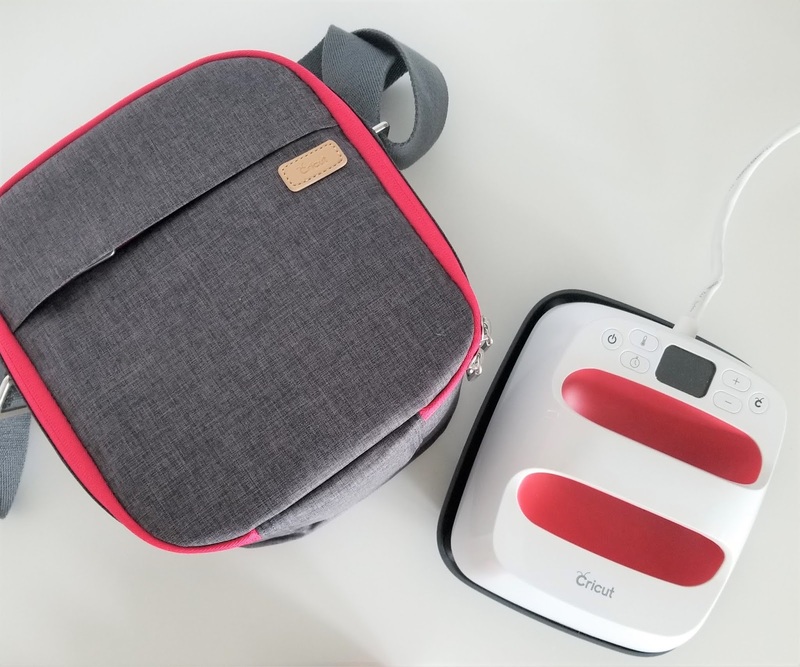 You can take your Cricut EasyPress 2 say to a friends house to teach them how to apply iron-on vinyl use it all night long, unplug it and let it cool down and even if it is still warm, you can plop it into Cricut EasyPress Tote and know that you won't set your car on fire on the way home. That's security right there!! 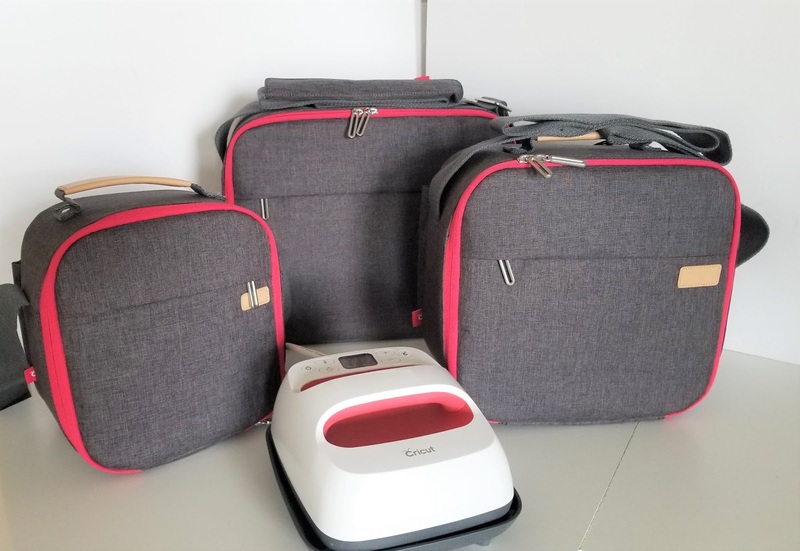 The Cricut EasyPress Tote comes in 3 sizes: Small, Medium, and Large to fit both the Original EasyPress and all 3 of the Cricut EasyPress 2: 6x7", 9"x 9" and 12" x 10". 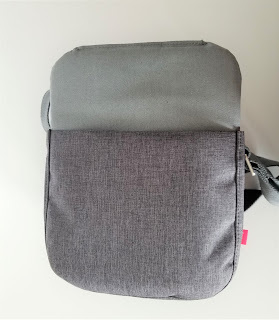 I've got all 3 sizes and each EasyPress fits nice and sung inside the tote and can be strapped in to make sure it doesn't move around. 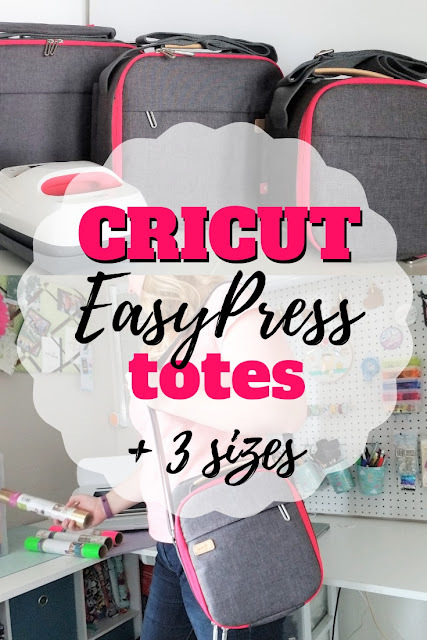 Let me show you how easy it is to use the Cricut EasyPress Totes. 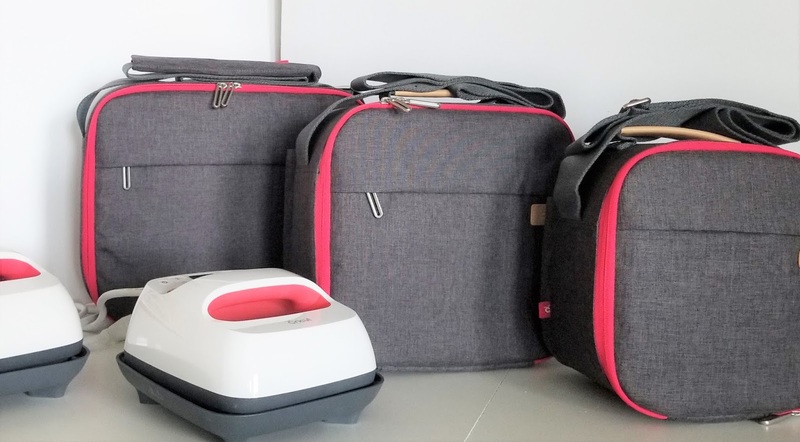 Step 1 - Pick the correct size Cricut EasyPress Tote for your EasyPress, Safety Base, Mat and accessories. Cricut EasyPress Tote Small fits the Cricut EasyPress 2 - 6x7"
Cricut Easy Press Tote Medium fits the Cricut EasyPress 2 - 9"x 9"
Cricut EasyPress Tote Large fits the Original EasyPress and the Cricut EasyPress 2 -12" x 10"
Step 3 - Wrap the cord around the outside of the EasyPress. Step 4 - Secure the EasyPress with the velcro strap. Now zip it shut and you are ready to go!! 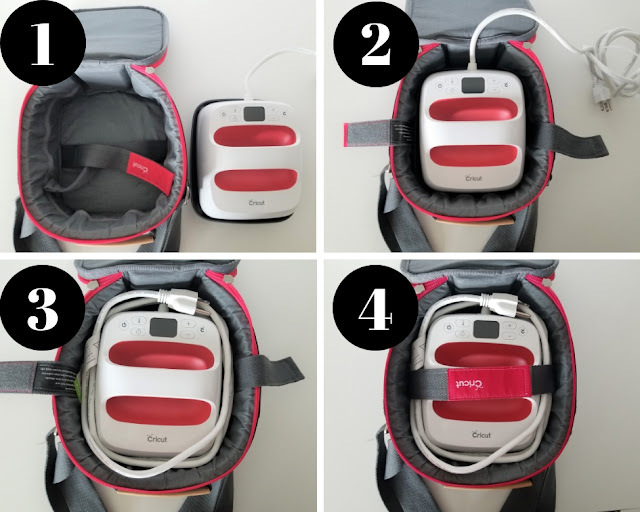 All 3 sizes of the EasyPress Totes come with a front zipper pocket and a back magnetic pocket. 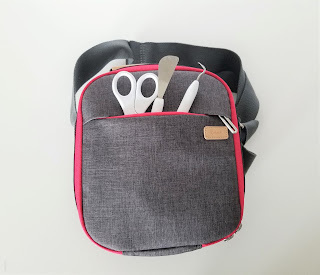 Which means, you can place your Weeding Tool Set in the front pocket and slide your Cricut EasyPress Mats in the back pocket. Now you are all set to go on a crafting adventure.